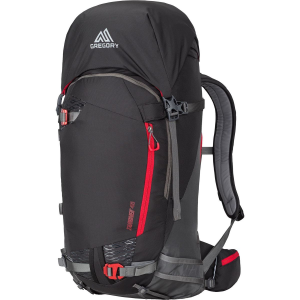 According to Gregory, the 33-liter Targhee is the first winter backcountry pack to integrate the weight of its carrying system directly onto the backpack’s frame sheet suspension, resulting in better load carrying. 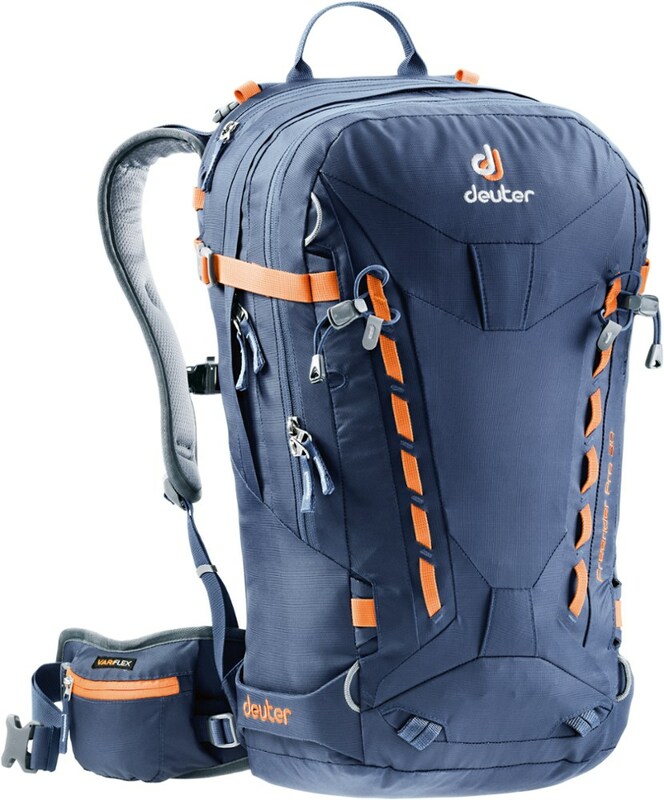 Two stays distribute the weight of skis or a snowboard to the pack’s frame sheet and waist belt; you can carry skis vertically or diagonally, using non-slip lockable attachment points, or in a more traditional A-frame mode. 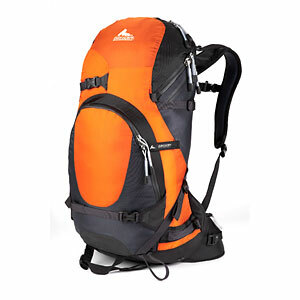 The pack also can accommodate a snowboard or snowshoes. 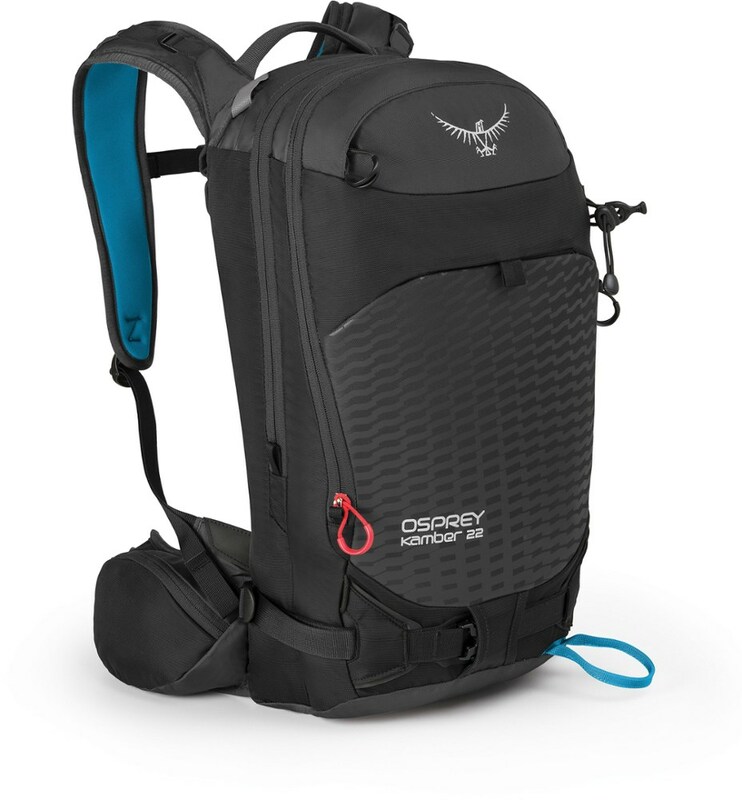 When you’re not using the carrying system it can be stowed away by tucking the straps into built-in storage pockets. 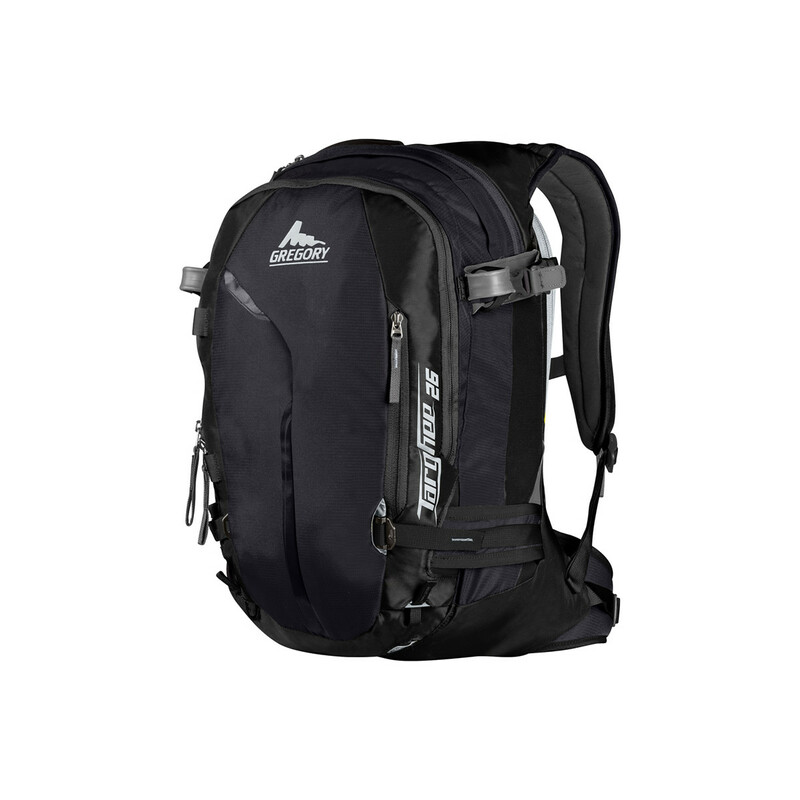 The top-loading Targhee features side pockets for stowing an avalanche shovel handle or probe and a front pocket for a shovel blade, climbing skins, and other necessities. All of the tool pockets have built-in drainage systems. 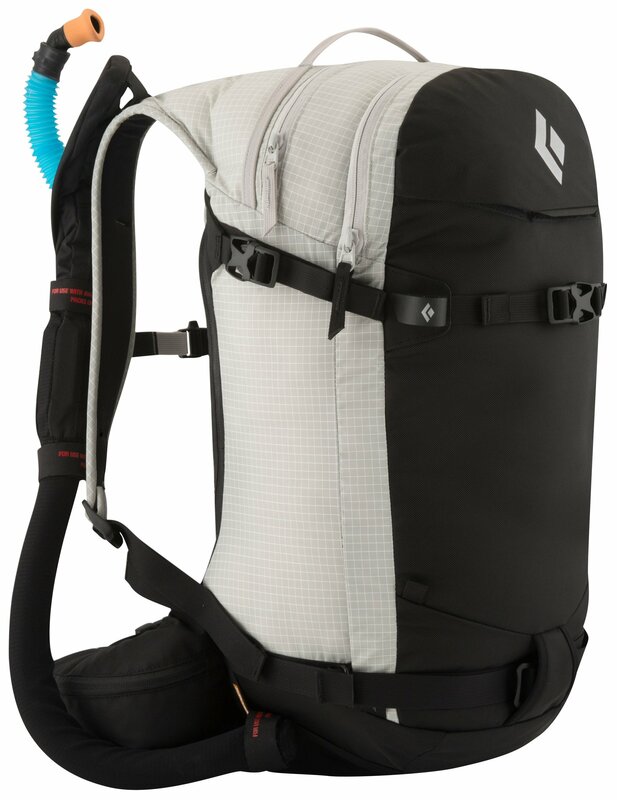 To keep liquids from freezing in winter temps, the hydration system’s sleeve and port run through an insulated section of the shoulder harness. 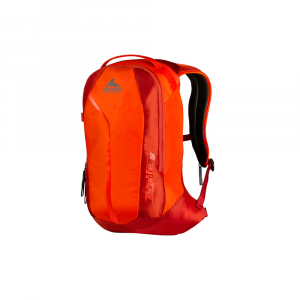 The Targhee is available in three sizes: small, medium, and large.